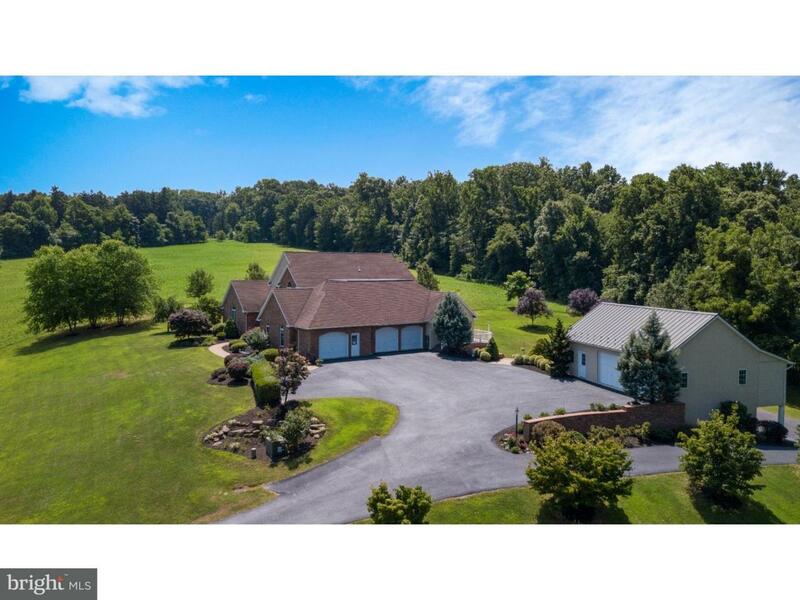 This quality-built Al Kutz home is built on 10.04 AC & sale includes adjacent 8.03-AC separate parcel (Total acreage 18.07 acres). Front door opens into a beautiful foyer with random-width maple hardwood floor, as seen throughout both levels of this house. To the left of the foyer is a 1st-floor Master BR with vaulted ceiling, center beam, recessed lighting, huge walk-in closet, and on-suite bath with walk-in shower, double granite vanity, & ceramic tile floor. To the right of the foyer is a living room with lots of light. 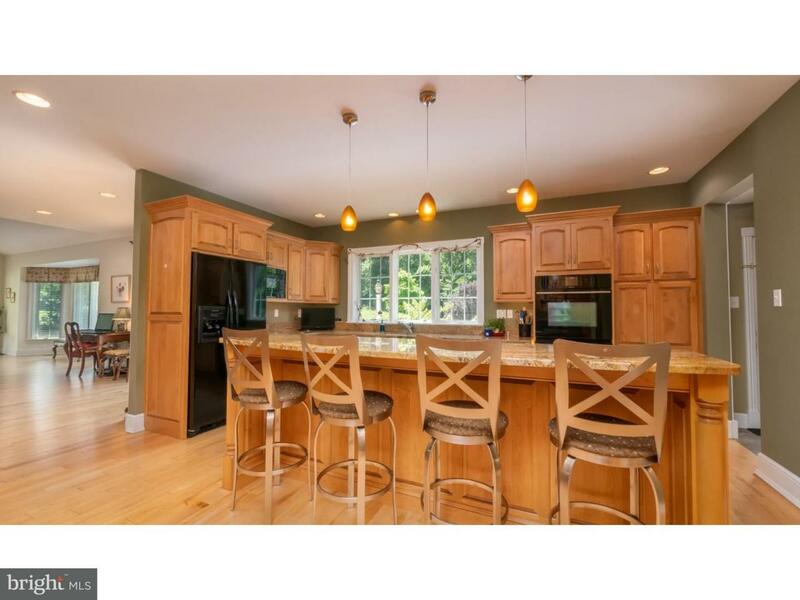 Keep going until you reach the kitchen, & what a kitchen it is, with custom-built maple cabinets galore! Gourmet granite cooking island with attached breakfast bar, 3 windows at the double kitchen sink make for pleasant scenery while doing kitchen tasks! Built-ins include Jenn-Air glass cook top & double wall ovens, plus dishwasher, garbage disposal, ample implement storage cabinets, food pantrys, desk, & laundry room with sink, workspace, closet, & outside exit. In the other direction is an open floor plan with a formal dining area w/sliders leading to the huge 40' x 15' rear deck, which has a power awning for dining al fresco rain or shine! 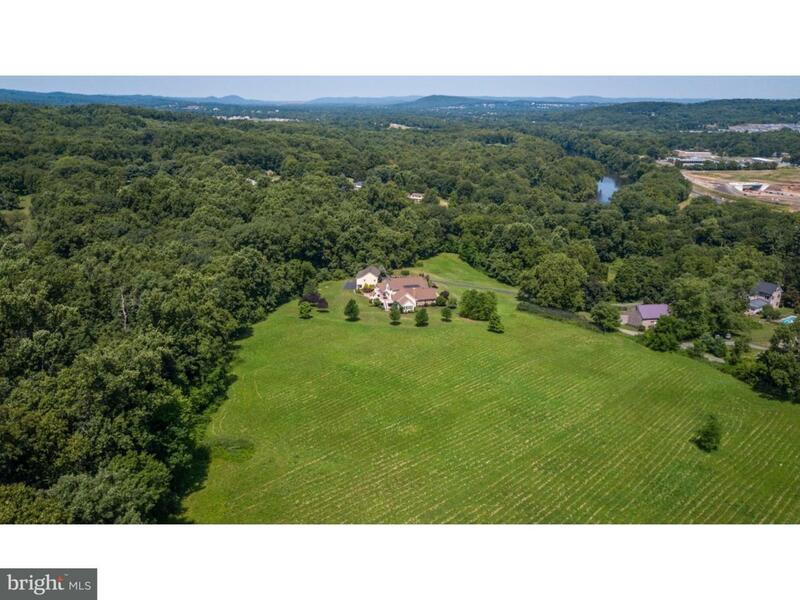 The open lot and woodland view are incredible. Dining room is open to the large family room with vaulted ceiling, center beam, beautiful stone fireplace, built-in cabinets & display cases. Walk through takes you to a sunroom with vaulted ceiling, center beam, and 3 basically glass walls-17 windows total, all casement, great set up for casual dining with a lovely view! Down the hall is a guest BR with walk-in closet, on-suite bath with walk-in shower, garden tub, granite vanity, and ceramic tile floor. Climb the center hall staircase to 2 more BRs, large storage room, and a hall bath with granite vanity & combination shower and tub. The basement has a 1,400 SF finished game/rec room w/carpeting, wet bar w/fridge & built-in cabinets, plus a powder room & walk-out to a shaded brick patio w/steps leading up to the attached 3-bay garage area. The unfinished basement area houses the water treatment equipment, oil storage tank, two 200-amp elec panels, Lennox HVAC system w/built-in air cleaner, an oil-fired hydronic coil heat system, an indirect hot water system w/46-gal tank, & zoned heating & cooling. 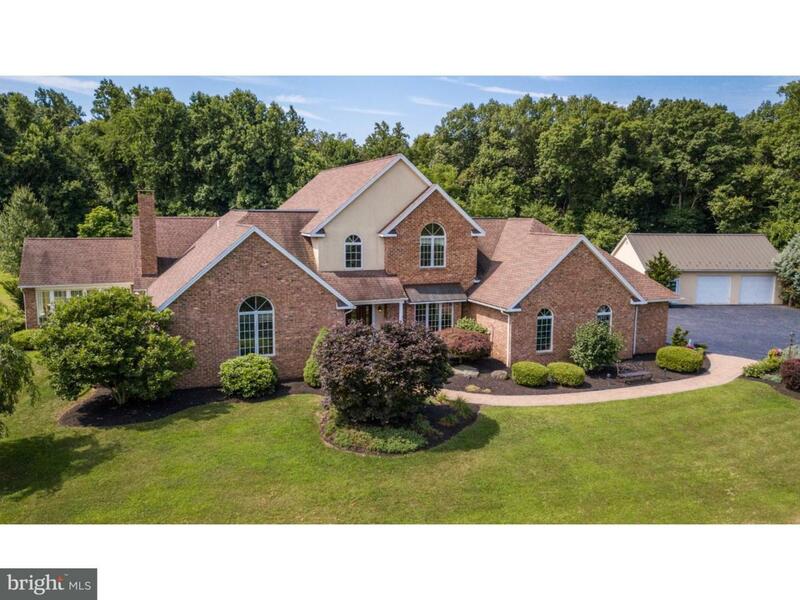 Across the driveway is the detached 4-car, 2-level bank garage, upper level with wood floor 40'x32' & lower level with cement floor 40'x24'. House your horsepower here, mechanical or otherwise!